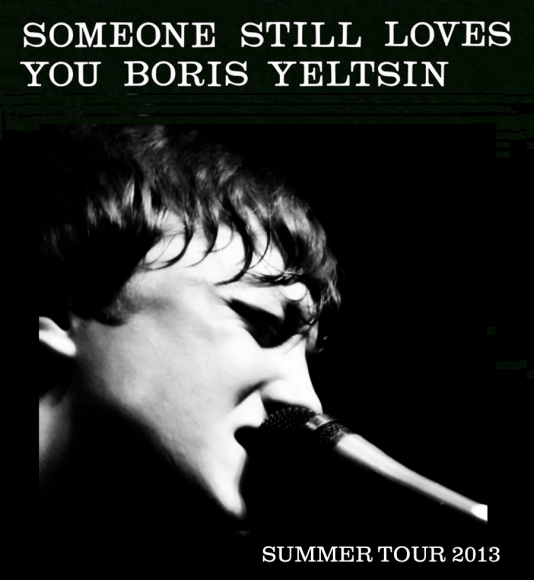 This summer Someone Still Loves You Boris Yeltsin will be embarking on a short co-headlining tour with Ha Ha Tonka and Ezra Furman & the Harpoons. All three groups will be road testing new material that they have been working on. The short tour is only making nine stops through the Mid-Atlantic and Midwest. There are no definite details on SSLYBY’s new album other than the fact that it’s currently being recorded. When released it will be the band’s first since 2010’s Let It Sway. On June 27th they, along with Ha Ha Tonka and Ezra Furman & the Harpoons will stop by Milkboy Philadelphia to preview their new material and play old hits.